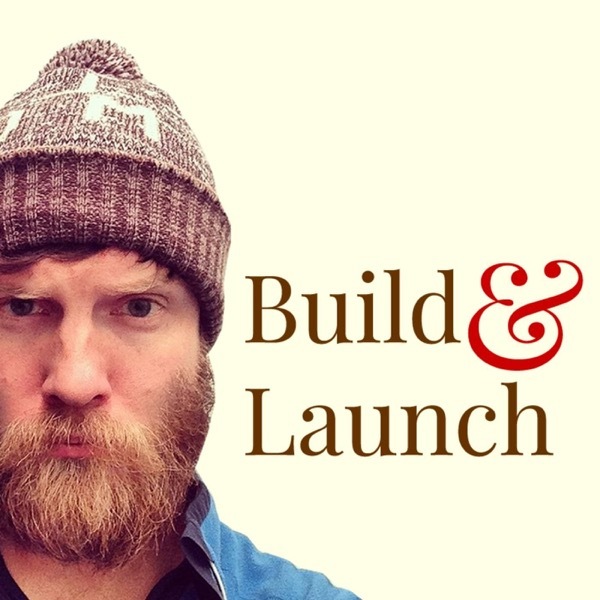 Justin looks forward to 2016, and talks about the future of the Build & Launch podcast. Justin finally launched a project he's been working on since early 2014. It's something he was embarrassed about: he'd put it on the shelf. But this podcast helped him get motivated to finish it. Learn how the launch went, and his initial numbers. Justin examines how entrepreneurs often try to follow the path of successful people (almost religiously). The hope is that getting the "secret sauce" will help them achieve the same success as their heroes. Is it true? Whoa! It's new episode. After finishing Season 2, I missed getting on the mic and sharing my product building adventures. So I'm back with a some ideas I'm working on for my current project. Join Justin for the last episode of Season 2. What did hear learn while launching one product a week for 8 weeks? "Start small and start now." He also gives us a sneak peek into his new book: Marketing for Developers. EP24: How do we create things people want? In this episode: three ways to validate your product idea. After spending 24 hours in the mini-van with 4 kids, Justin is back from the Easter long-weekend and ready to update us on his progress on this week's project: "Marketing for Developers." The theme for this episode is "facing your fears." Was Justin able to re-launch Product People Club? He talks to more of his existing customers to discover what jobs they're hiring the Club for. Justin is trying to build and launch a product every 7 days. This is the mid-week check-up as he tries to re-launch Product People Club. He had to do some hard stuff and actually call his customers, and hear what they thought of his product. It's not about you achieving the American Dream. It's about you getting 1% better ever day. What are you going to do this week to improve your situation? Justin is jet-lagged. In this episode he talks about balancing our creative projects with getting out and living your life. Justin is on the road! This episode recorded on location in [Edmonton, Alberta]. In this episode: with only 4 days to work, Justin launch the first product of Season 2? See what it's like to eat your own dog food. Still anxiously awaiting Season 2, Justin gives an update about the bachelor party (many soda pops). Also: cease and desist! EP16: How do you launch if you don't have an audience? Justin responds to listener questions: How do you decide if an idea is worth launching? How do you build products if you have kids and a full-time job? What outside material are you allowed to use in a podcast? Best kick in the pants podcast yet! 7 days ago, Carl and Justin set off on an adventure to build a unique WordPress plugin in one week. Also - kids or no kids? Every 7 days Justin Jackson tries to build and launch a new product. This week he's working on a Wordpress plugin with Carl Alexander. They're hoping to ship it on Thursday; will they make it? Do you have a bunch of projects that you've started, but not launched? This is the show where we build and launch something every 7 days. In this episode Justin does a mid-week checkup with Adam to see how he's doing with his podcasting course. What happens when someone launches the same product as you, at the same time? You call them on Skype! Join Justin Jackson as he talks with Kiki Schirr about not getting discouraged when competitors pop up. EP8: Do you even launch, bro? EP6: This is it: first product announcement! Yesterday was launch day for the podcast. It landed on Product Hunt, and there was a flurry of excitement. But what happens the day after you launch? Today Justin talks about the post-launch blues. In this episode we hear what Justin's family thinks about this crazy experiment. Also: why is Justin standing in a completely dark closet? You'll also hear the launch stats for the podcast so far!